Press Coverage – PUDDLE Style! Great coverage of PUDDLE 2017! PUDDLE 2017 had great coverage in the September/October 2017 issue of Doll Castle News and the October 2017 issue of Dolls. Coverage in Fashion Doll Quarterly still to come! Check out the pages below. Terrific PUDDLE 2016 coverage in the October 2016 issue of Dolls Magazine. Go buy a copy! 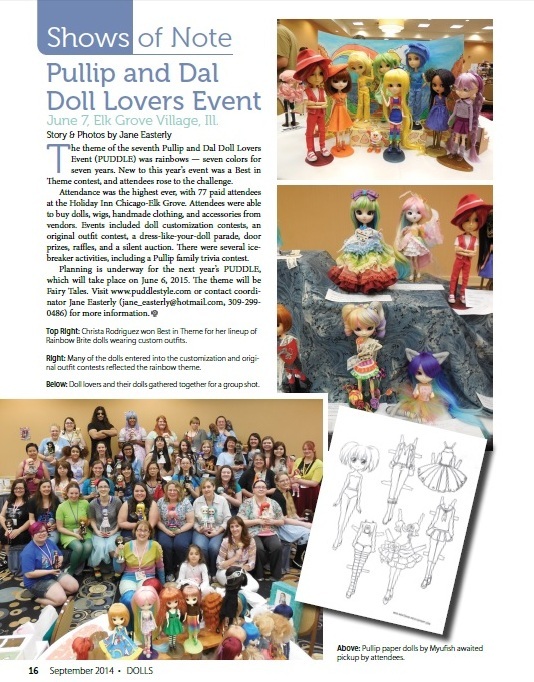 Be sure to check out the coverage of PUDDLE 2015 in the September 2015 issue of Dolls magazine!